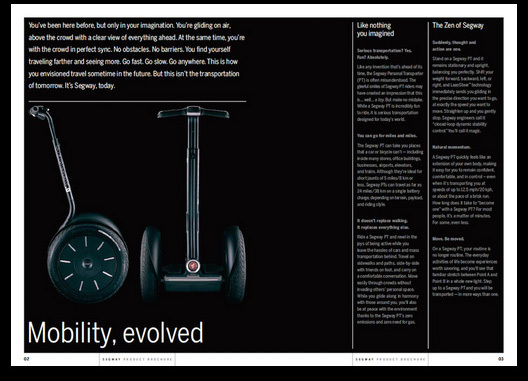 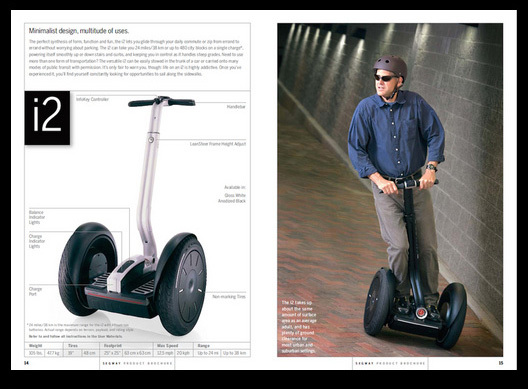 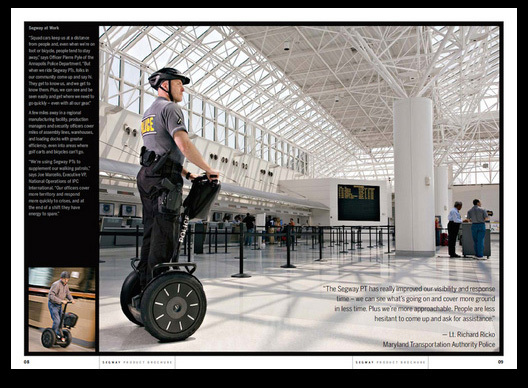 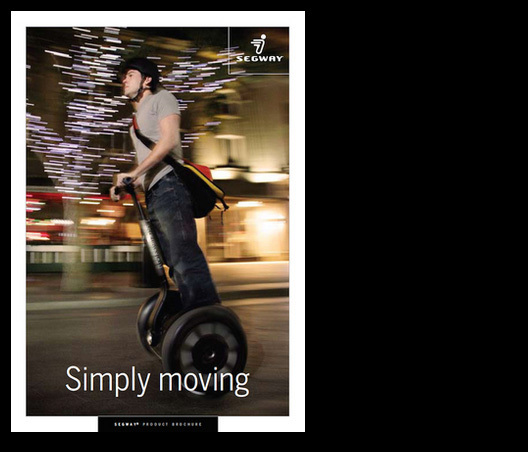 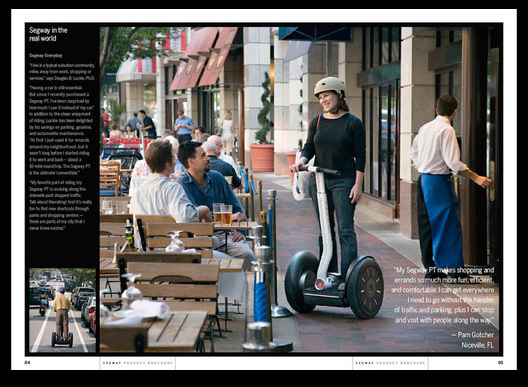 Segway is the number one provider of personal electric balancing transportation in the world. 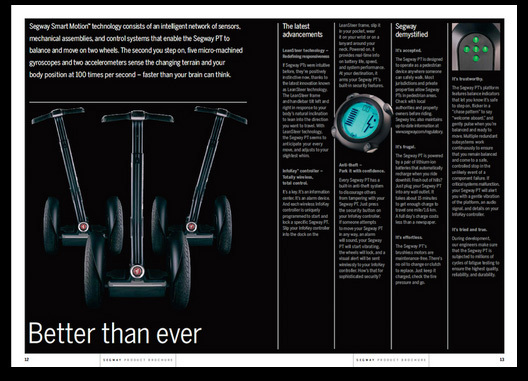 The zero-emissions Segway Personal Transporter delivers a very “green” energy efficiency equivalent of over 450 miles per gallon. 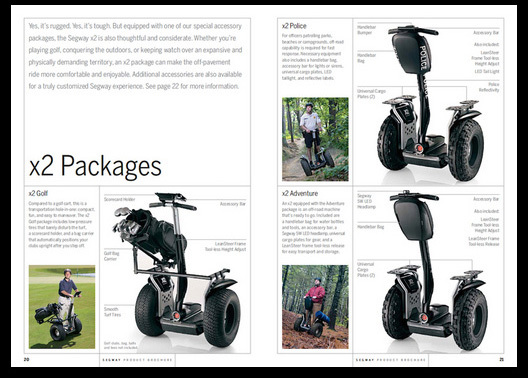 We created new positioning (“Simply moving.”) and developed an integrated marketing program, including the development and design of both on and offline communications, that was successful in creating growth with early adopters and a wide range of niche commercial markets.